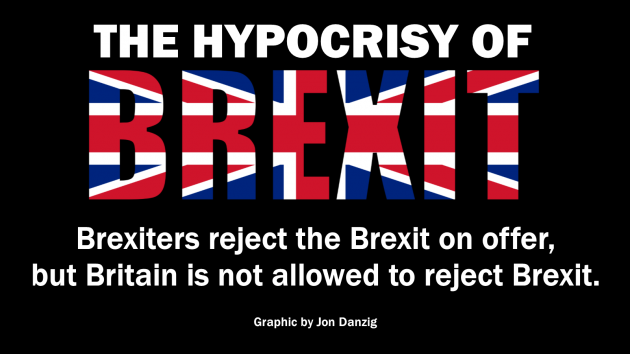 Here’s the hypocrisy of Brexit. Brexiters reject the Brexit deal on offer. But Britain is not allowed to reject Brexit. From the outset of the EU referendum back in 2016, Brexiters couldn’t agree with each other what kind of Brexit they wanted. There was no agreed plan, blueprint or manifesto for Brexit. And there still isn’t. Theresa May’s Brexit plan looks set to be roundly rejected by Parliament early next month. By all accounts, most Brexiters hate it. They want a different kind of Brexit altogether. But here’s a question for all Leavers: what kind of Brexit did you actually vote for? The answer has to be that you didn’t vote for any kind of Brexit. No one defined what Brexit meant. Leave was just one word, and the implications of it were never properly spelt out. Brexit didn’t mean Brexit. Leave didn’t mean leave. It was never detailed. Now we have the detail of Brexit, or “a Brexit”, shocked Brexiters say that isn’t what they wanted. Indeed, the so-called plan doesn’t even include all the details: that’s to be decided over the coming years, when it will be too late. Brexit politicians only have themselves to blame. Nobody was told what kind of Brexit they might get if they voted for Leave. And we still don’t know for sure. Brexiters want an opportunity to choose a different kind of Brexit. But at the same time, they want to deny the country an opportunity to choose to reject Brexit altogether. Like a broken record, Prime Minister Theresa May says there cannot be another vote on Brexit. But the people didn’t vote for an almighty, calamitous mess, Mrs May. The people didn’t vote to have vital foods and medicines in short supply. The people didn’t vote to be poorer. The people didn’t vote to trash our economy – which before the referendum was the fastest growing in the G7 (now it’s the slowest). The people didn’t vote to put at risk peace in Northern Ireland. The people didn’t vote for utter uncertainty and chaos, just weeks before we are due to leave. Now, the evidence is overwhelming that a majority of the UK public not only don’t want the Prime Minister’s Brexit. They don’t want any Brexit at all. On 15 November, just one day after the Cabinet “approved” Theresa May’s Brexit deal (although resignations followed later) YouGov sampled the GB population. The results were that 47% said it’s wrong for Britain to leave the EU, 40% said it’s right to leave, and 13% didn’t know. “If you take out the ‘don’t knows’, add Northern Ireland’s preferences and re-weight the data using the original referendum results, that adds about 4% to the remain majority. 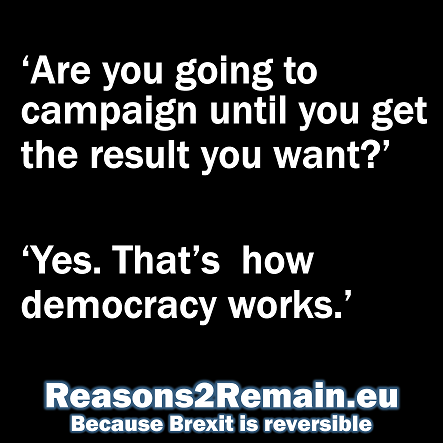 “So, the majority of the UK as a whole (which of course, includes Gibraltar as they were included in the original referendum), it shows that now around 55% want the UK to remain in the EU, and only 44% want to leave. More than 50 polls, from a range of different polling companies (YouGov/BMG/Survation/National Centre for Social Research) have sampled Brexit opinion since the 2017 general election. The results have been consistent and show a clear trend. Since the general election, 98% of the polls have shown that the UK public no longer want to leave the European Union. Two and a half years on since the referendum the majority has moved from 3.8% in favour of leave to between 8% and 12% in favour of remaining in the EU. A single polling result has, typically, a potential 3% error, but when 50 out of 51 polls from different sources, agree, it is difficult to refute this new ‘will of the people’. Over half a million older voters who voted 75%:25% in favour of leave, have died. 700,000 new 18-20 year-olds are now able to vote. They have a 67%:33% preference to remain. About 5% of remain voters accepted the democratic decision and 5% now undecided, but 90% still want to remain in the EU. A lower percentage (80%) of leave voters still want to leave, but 20% have changed their minds. Of the 12.9 million who did not vote, there is now a 2:1 majority in favour of remaining. It seems to me important that you should know these figures, given the decisions you will be making in the near future. As David Davis said, ‘If a democracy cannot change its mind, it ceases to be a democracy’, and there has been a substantial change of mind swing from the referendum of between 12% and 16% in the direction of remaining in the EU. 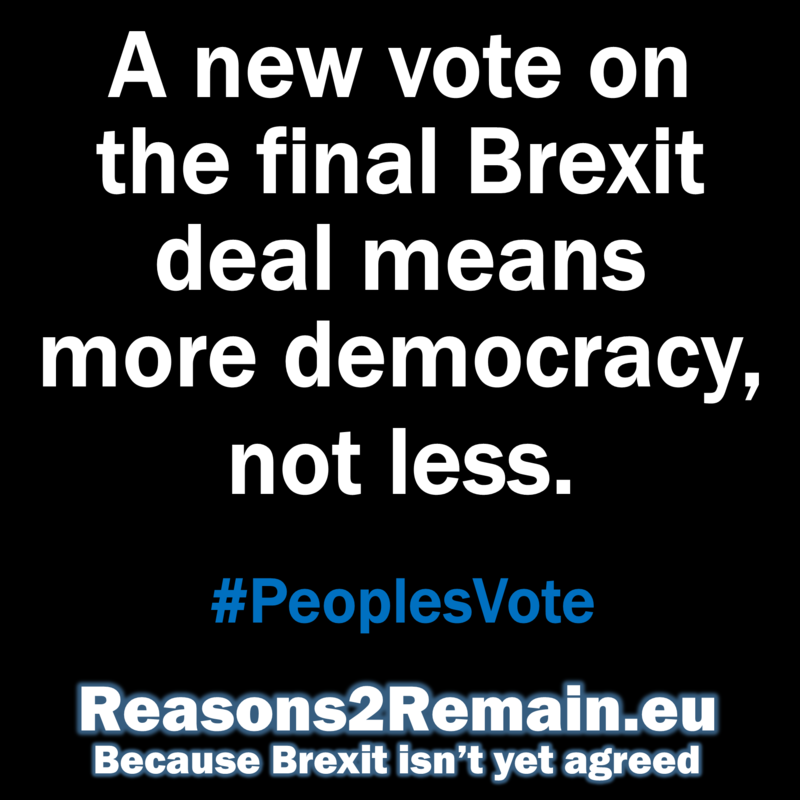 We have attempted to illustrate how a three-way ‘Peoples’ vote’ might be conducted at www.ThePeoplesVote.eu. This does seem a very simple way to conduct a three-way vote and provides a way forward for dealing with the change of will in a democratic and stable manner that should appeal to much of the population. Best wishes to you over the coming politically turbulent time. 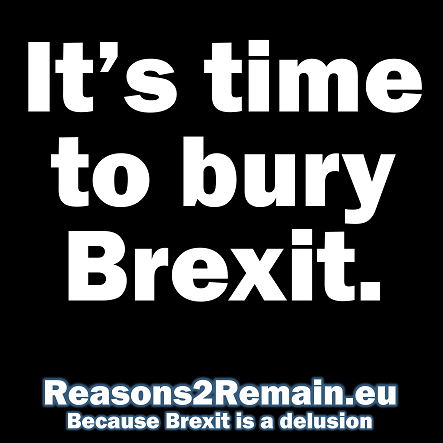 If, as now seems close to certain, Parliament rejects Theresa May’s version of Brexit, then the case will be overwhelming to put the decision back to us, ‘the people’, who the Prime Minister so often refers to. 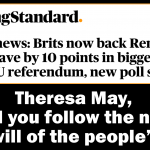 If Mrs May is really interested in acting on the ‘will of the people’ she will surely want to find out what that will is today, over two years after ‘the people’ were last asked. Now we know what Brexit means, we need a new vote on that, for the very first time. And if the country votes to reject it, and to remain in the EU, it will mean that’s the new ‘will of the people’. After all, if Brexit is rejected in a new poll, it will mean that sufficient numbers of Leave voters have changed their minds since the 2016 referendum. So, Mrs May, you shouldn’t worry that you’d be going against what ‘the people’ wanted two years ago, if they don’t want it any more. Indeed, if you go ahead with Brexit when the country doesn’t want it, you will be going against the ‘people’s will’. And you wouldn’t want to do that, would you? Join and share the discussion about this article on Facebook. 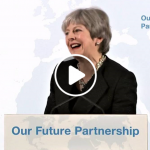 This entry was posted in Current Affairs, Democracy & Citizenship, Economics & Trade, Politics & Public Policy, The EU and tagged Adrian Low, brexit, Chequers, European Union, Theresa May. Bookmark the permalink.